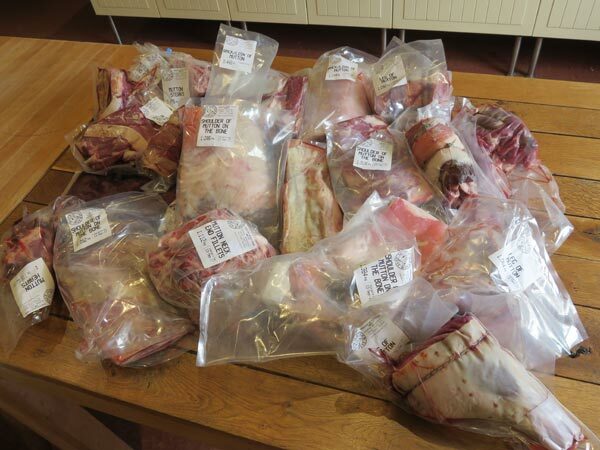 We sell meat from animals born and reared on our farm, so you can be sure of its exact provenance. Our lamb, hogget, mutton and beef are all entirely naturally grass fed, reared on diverse wildflower-rich pastures that are farmed for the benefit of wildlife as well as our livestock. Slow grown, real food, from rare and native breeds all chosen for their natural hardiness and amazing taste. 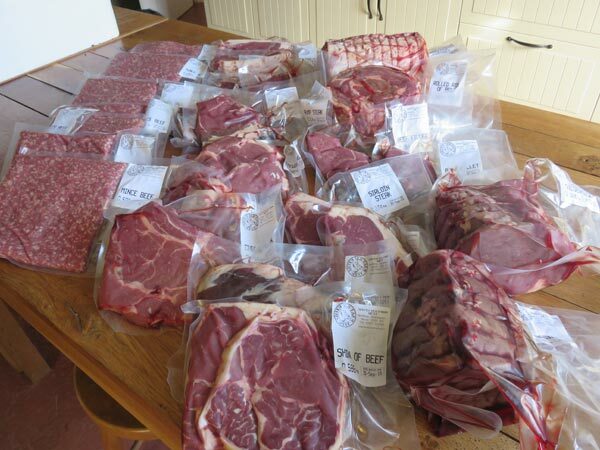 Our meat is available in season and is couriered fresh direct to your door, or can be collected from the farm. Contact us if you want to be put on our mailing list to be alerted when we have fresh meat available. 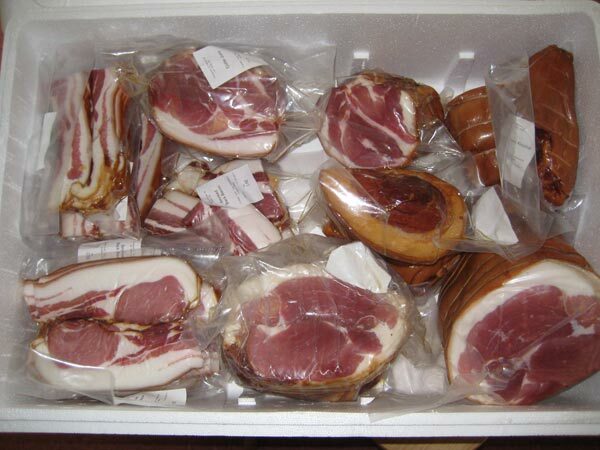 PACKAGING: We are steadily moving away from using polyboxes to courier your meat to using cardboard boxes with an inner pouch made from 100% sheep’s wool, enclosed in a recyclable, food grade polyethylene. This means that the packaging can be used as a compost where it will naturally break down, and even if it ends up on a landfill, it will still naturally biodegrade within 6-12 months. We can’t get away from plastics entirely as there is currently no acceptable alternative for the wrapping making your meat freezeable, but we are trying our best to minimise its use.